Council Members had their first group discussion of Council priorities for the 2015-2016 fiscal year. Many ideas came forward but several priorities seemed to show more interest than others: Finding a way to achieve a balanced mix of housing in the city, Provo west side development, economic development and expanded retail, and fiscal responsibility in general. Hal Miller was not present and will still need to make his preferences known. This discussion will continue at future Work Meetings. 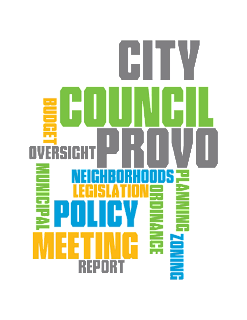 The Mayor presented an updated proposal on the recreation, arts, and parks (RAP) tax and how the funds would be used if the tax is approved by the Council and Provo voters. After meeting with Council Members and reviewing the results of the survey conducted last month, Mayor Curtis made adjustments to the plan. Council Members and the Council Budget Committee will review the proposal in anticipation of the Council making a formal decision on whether or not to put the RAP tax on the November ballot. Passed an internal policy on closed meeting agenda prioritization to ensure sufficient time is provided for items being discussed in closed meetings. These meetings have been held at the end of the Work Meetings but the time is limited because the formal Council Meeting has a fixed start time. Discussed proposed updates to user fees and received additional information on the Peaks Ice Arena and the Provo Recreation Center. 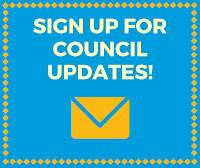 This information will be provided to the Council Budget Committee who will return to the September 1 Work Meeting with their recommendations. Heard some information about a proposal to repeal Provo City Code 6.22 prior to renewing the City's franchise agreement with Comcast. This will come back to the Council at a future meeting. As required by Utah State law, the Council held a public hearing about the property tax increase proposed in the 2015-2016 fiscal year budget. Council Members acknowledged the input they had received from those living on fixed incomes while expressing the need to support the needs of this growing city. The increased property tax levy was approved and the Provo City budget of $197,911,888 was passed. More information about the budget can be found on the Council's website. The Council held a public hearing about the proposed parking permit program in the Wasatch Neighborhood. Melissa Kendall, Wasatch Neighborhood Chair, reported the feedback from the last neighborhood meeting and there seemed to be a strong desire from some residents to wait until January to see what kind of impact there would be from changes at BYU. Paid parking at BYU in addition to their new student shuttle could change the dynamics of the parking problems close to campus. More than two dozen people made public comments at the Council Meeting and opinions were divided on how and when to handle parking in the area. The Council voted to wait ninety days on the parking permit program and address it again at the November 10, 2015, meeting. This will allow more time to assess the scope of the problem and work with members of the Wasatch Neighborhood to make sure the program fits the needs of the area. Denied a request for a zone change from Residential Conservation to Medium Density Residential in the Franklin Neighborhood. The applicant will be asked to reapply with a different zoning request.